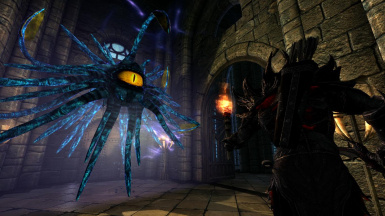 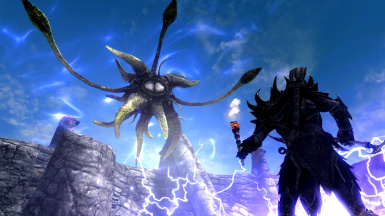 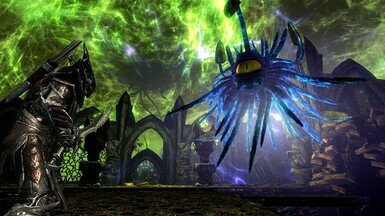 Watchers are floating tentacle-like Daedra. 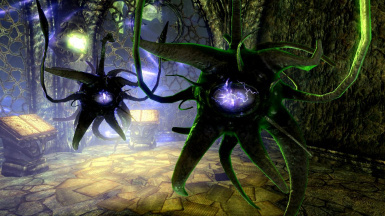 They appear as giant floating eyeballs with multiple tendrils protruding from all sides. 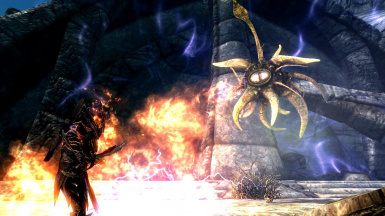 Users of powerfull magic, you must be carefull when fighting one of them, because their impredicable battle behaviour. 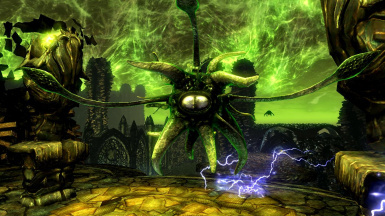 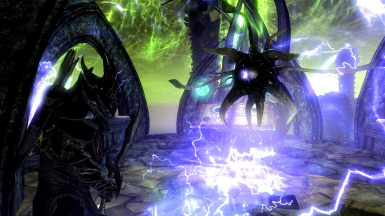 Watchers are green floating tentacle-like Daedra. 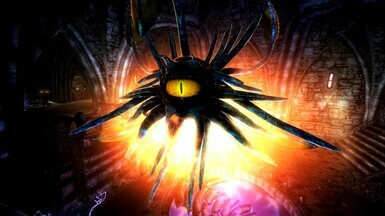 They appear as giant floating eyeballs with multiple tendrils protruding from all sides. 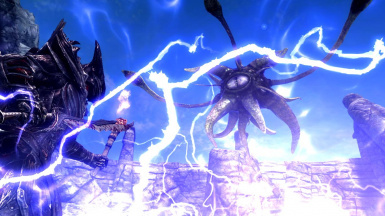 Users of powerfull magic, you must be carefull when fighting one of them, because their impredicable battle behaviour. 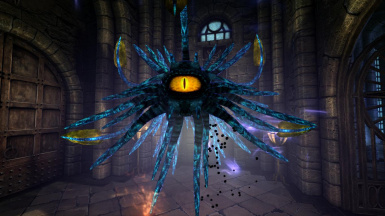 Despite most having medium size, some really big named Watchers do exist guarding specific locations. 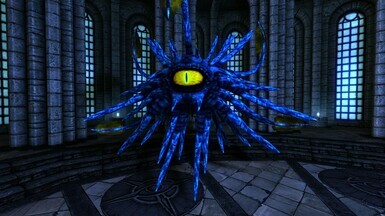 A stronger, and commonly bigger, variant is known as Vigilants, they have blue skin and a much bigger number os tentacles. 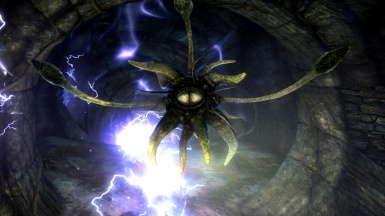 The Watcher most common type of attack is the Fire Beam, while the Vigilants commonly use the Gaze, a light beam emitted from the central eye, but both also can create shockwaves doing area damage, same to the daedric burn with fire damage and the powerfull, but rare, daedric destruction attack, a big beam of fire mixed with lightning, this last one commonly just 1 or 2 by battle in the case of Vigilants, and as main attack by big unique named Watchers. They are common in almost all the realms of Oblivion, so you will find them in Apocrypha (but not on soul cairn), also as mini-bosses on conjurers dungeons and the college of winterhold has a passive Vigilant as pet.